August 21, 2017 October 1, 2018 ~ P.P.S. This little one will be sharing a room with us for an uncertain amount of time so he won’t really have a nursery, but I have high hopes of giving him his own quiet corner/ nook. I guess you might call the above somewhat of a “baby space inspiration board”. I would love for his little nook to feel clean and minimal and include a natural basket with a plant or two. That cloud print keeps catching my eye and I think that he would like either a sailboat or fabric paper airplane mobile (wink, wink). 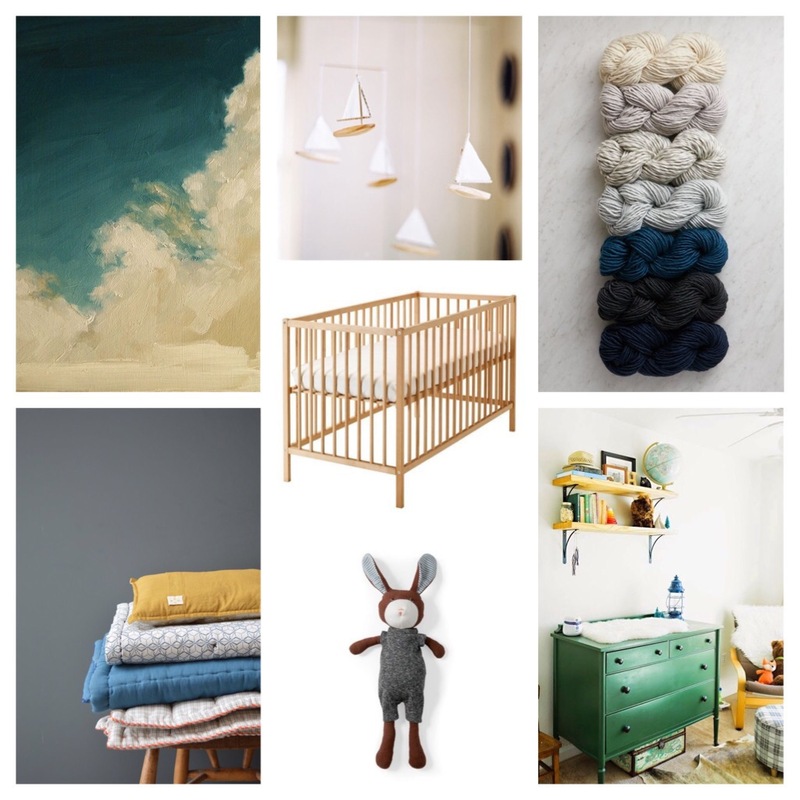 In the next few weeks, I hope to try my hand at knitting with this being my finished product – (https://www.purlsoho.com/create/2017/01/04/super-easy-crib-blankets-in-new-colors/). I am thinking my aspirations may be just a wee bit high, but wouldn’t this make a lovely forever keepsake? And to paint something green, this just might be the perfect opportunity. Maybe a dresser or wardrobe? A glimpse of today’s belly (26 weeks, 3 days).